FCU English Online: FCU Study Abroad - Korea! FCU Study Abroad - Korea! Many students want to travel around the world and meet different kinds of people and make lots of friends. More and more students at Feng Chia University (FCU) participate in exchange programs to different countries. There are lots of ways to become an exchange student. Last year, FCU’s honors program provided the first international summer school to Hanyang University in South Korea. Thirteen classmates and I participated in the program. I learned a lot and had a great time. When we arrived in Korea, we found that the summer weather in Korea is really different from Taiwan. It was much cooler, more like fall in Taiwan. After we arrived at the airport, we took the subway to Hanyang University. When we arrived at school, we took our luggage to our dorm. The dorm was not roomy, but it had enough space for two people. 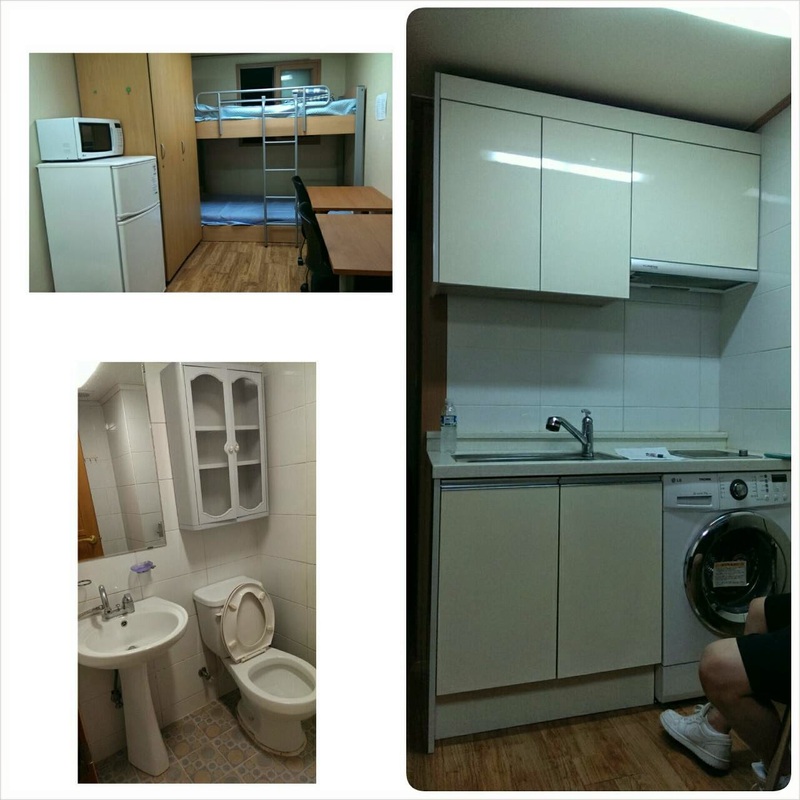 The dorm had fantastic facilities in which we could cook, do laundry, and take a shower for free. We could even turn on the air conditioner for free anytime! Additionally, there were many stores and supermarkets nearby, so we didn’t have to worry that we would lack something. Hanyang University is very different from Feng Chia University. 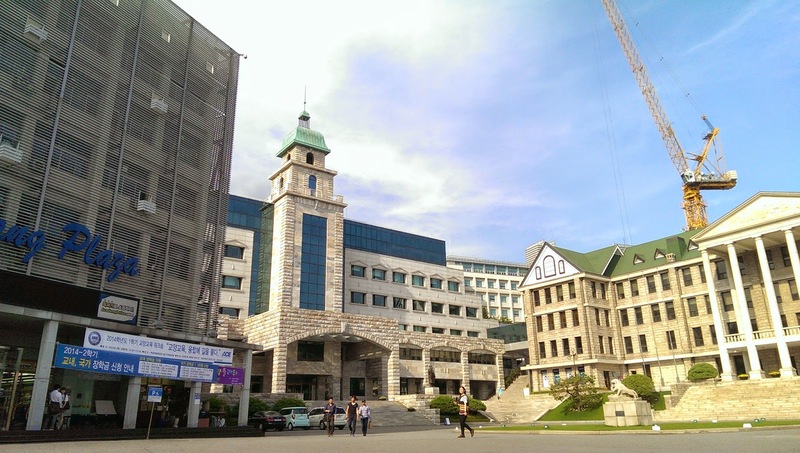 Hanyang University’s Seoul campus has more than 60 buildings, including those of Hanyang Women’s University and Hanyang Cyber University. The campus is so big that we had to climb up and down the hillside to our classroom every day. We couldn’t ride bicycles on campus it’s too steep. It was really challenging to my strength! As a student in FCU’s program, I could choose 9 credits at most. I took 6 credits (two classes), which were “Advertising and Communication” and “Korean Language.” During my classes, I had a lot of discussions with the other students and did many group presentations. It was a good way to interact with people from different cultures. The Korean students were very friendly in helping us solve any problems we had. 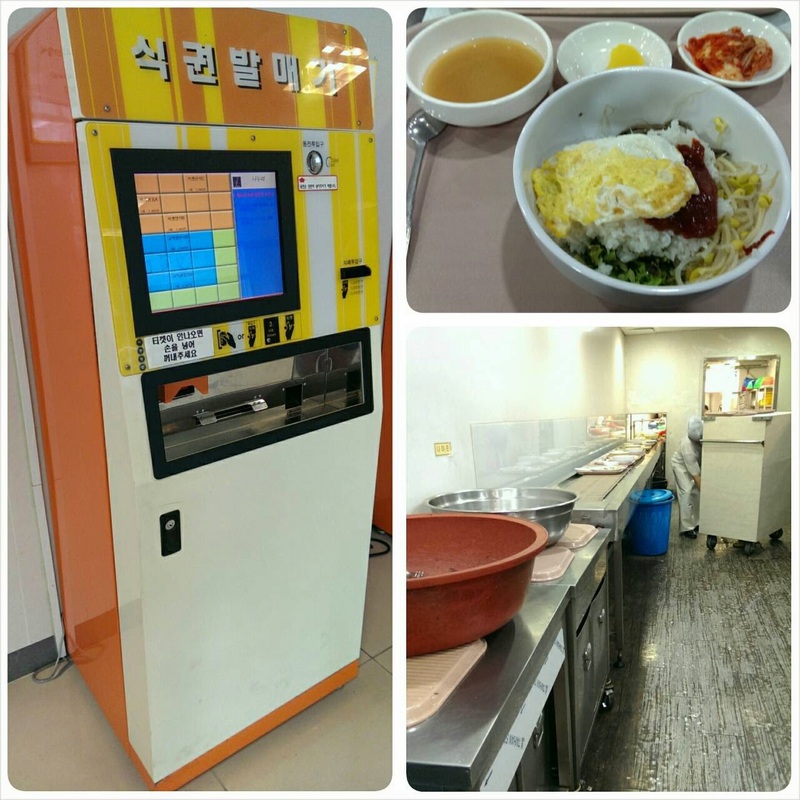 Hanyang University’s student restaurant was very special. In the glass case outside the restaurant, there were some real food samples. In Taiwan, the samples are mostly plastic models. The restaurant’s prices were between 3000 won to 4500 won. I didn’t have to give my order to a waiter or waitress; all I had to do was press the button I wanted on the machine beside the samples. Then I could go inside the restaurant and get my meal. I loved my lunches here! When we were not in class, the people from Hanyang University took us on some field trips. The most unforgettable activity was the Nanta show. Nanta is the best cooking show that I have ever seen. It is one of Korea’s great theatrical successes. The show is about four chefs that are going to help prepare a wedding feast. The show involves acrobatics, magic tricks, comedy, and audience participation. They cook, dance, and play drums all together at the same time. The performance is almost completely nonverbal, so we didn’t have to worry that we couldn’t speak Korean. During the performance, some foreigners are chosen to play games with the performers on stage. At the end of the show, they don’t forget to introduce South Korea to the world. During my time as a student at Hanyang University, I achieved my goals in enhancing my English abilities, cultivated my global vision, and broadened my perspectives towards different cultures. Although one month was really too short, this adventure has become one of my best summer vacation memories. If you want to have a unique study abroad experience, you can go to the Feng Chia University International Affairs Office for information. There, you will find many programs that you can join. Now all you need to do is decide which one you like best!